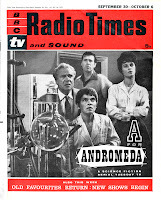 From the Archive: A British Television Blog: Yay for Andromeda! A Look at the 1961 BBC Masterpiece! Yay for Andromeda! A Look at the 1961 BBC Masterpiece! On February 18, 2012 we lost a real treasure of British television when Peter Halliday passed away at age 87. To say he was in a lot of programs would be insulting. The truth is, he was in a lot of programs but what a significant contributor to them. Here is a list of just some of the programs he made better just by making an appearance. Armchair Theatre, Ghost Squad, Secret Agent, The Saint, Softly, Softly, Man in a Suitcase, The Avengers, Out of the Unknown, UFO, Doomwatch, Colditz, Z Cars, Oil Strike North, Beasts (I forgot he was in Buddy Boy), The Tripods, and of course Doctor Who. He appeared in 5 stories totally 23 episodes. I had forgotten that he was the Alien voices in The Ambassadors of Death. My favourite Doctor Who appearance is easily the character Packer from The Invasion. 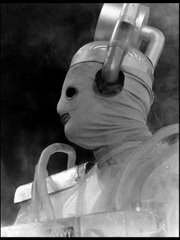 I love the Cybermen, I love UNIT, and Peter Halliday is great. Packer is incompetent to a high degree yet he is in charge of security. Yet, the Doctor and Jamie seem to come and go as they please in and out of International Electromatics. I have a theory why Packer was so incompetent. There had to be a reason as he would have to be pretty good to be employed by Vaughn. Simply put, Packer was so frightened by the Cybermen and Vaughn’s partnership with them that he could not perform his job well at all. He was so terrified of them and didn’t want to die. But, we are not here to talk about Doctor Who. Up until I started to really get into British television, most everything I saw of Peter Halliday was more of a supporting actor. Anything he was in, he made an immediate impression. Even seeing his name as the voice of the Silurians made me happy. I wanted to celebrate his work this week on something I thought he made a substantial contribution and where he played the lead role. Something came to mind immediately. It was A for Andromeda. This series, to me, joins in the rankings of the higher echelons of British Sci-Fi television. Before studios started to release some of the more rare series on DVD, this has always been one of the few series I had only seen images of but no episodes. There is a reason for this and it will affect how I watched the series and how I will write this article. A for Andromeda is simply not all there. Just like so many of our favourite series from the 1960s, episodes of this series were lost. In fact, as recently as 2005 no complete episodes of this series existed at all. 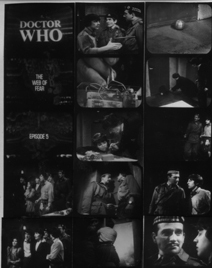 Finally with the help of Ian Levine, episode 6 The Face of the Tiger was returned to the BBC archives. Quite a bit of clips from the other episodes (except episodes 4 & 5) exist. For this viewing, I watched it from the excellent 2006 DVD set. 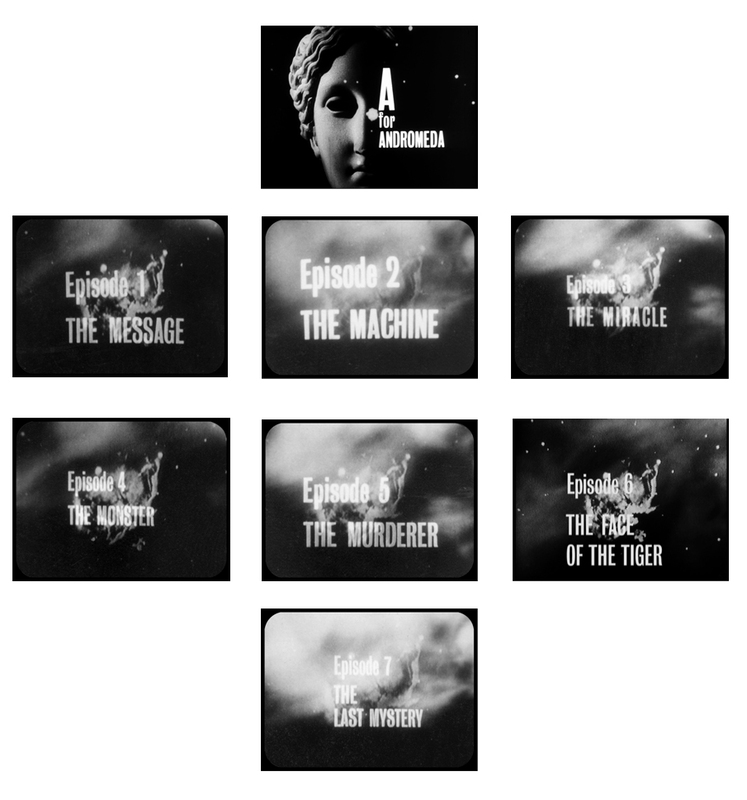 While The Face of the Tiger exists in its entirety, the other episodes were handled in a different way. If you are a fan of 1960s Doctor Who, you should be well aware of a means of presentation called a Telesnap Reconstruction. It is a way to recreate as best as possible a missing episode. One key ingredient to this is telesnaps. Telesnaps was something only John Cura did. 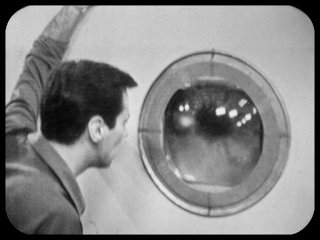 Very briefly, John Cura made his living by taking stills of a television screen and selling them to BBC producers, artists or anyone who actually worked on the program he was employed to make telesnaps. Productions from the BBC and ITV would pay Cura to take these stills and they would get prints to add to the production files as reference to the programs that were made. Producers knew that either their programs were transmitted live or eventually would be junked and telesnaps was a great way to keep a record of the production. Cura did this service from the late 1940s to 1969. Telesnaps was his name for what he provided to his clients. Anyone else doing this at the time of broadcast were just taking off-air stills. Cura actually adjusted his camera to be able to take his pictures. Luckily he was hired to take telesnaps of A for Andromeda. Because of this, we are able to have a telesnap reconstruction of the series. 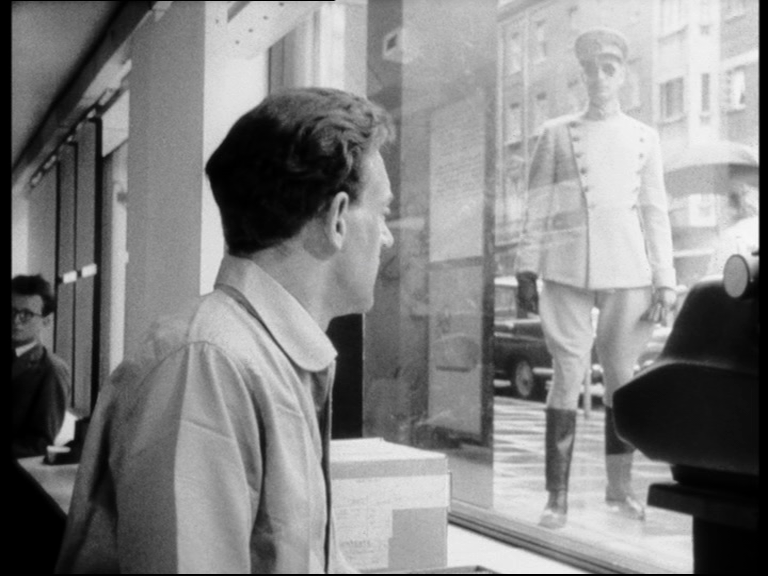 Telesnap reconstructions originally were created for the missing episodes of Doctor Who. Legend has it that it all started back in the 1980s when the first recon was from Richard Landen with The Power of the Daleks Episode Two. The more fans saw recons the more they wanted them. It was also vastly helped by crystal clear audio recordings of the episodes that came to the attention of everyone in the mid-1990s. In fact a ton of Doctor Who telesnaps were found in 1993 by Marcus Hearn working for Doctor Who Magazine. Stories from the latter half of Season 3 through the first part of Season 6 were located in one big book at the BBC Written Archives. As a side note, not all recons include telesnaps. One of the first tapes I got when I seriously got into tape trading in the late 1980s was The Tenth Planet. It had on it a recon of Episode 4. This recon used clips from the first three episodes with fans reading the scripts and they had heavy Australian accents! The telesnap reconstruction for A for Andromeda is very well put together even though it has two things that separate it from a usual telesnap reconstruction. Firstly, there is no audio recordings of the episodes (well, I’ll clarify that in a bit) and secondly because there’s no audio, the duration of the episodes are a lot shorter. The structure of the story is presented with descriptions to move the story along but with very little actual quotes of dialogue. This is alright as it gets to the point of the story. I am not wondering what is going on. Wherever clips exist, we get them and they look great. To give the series an air of realism, the series takes place between 1970 and 1972. 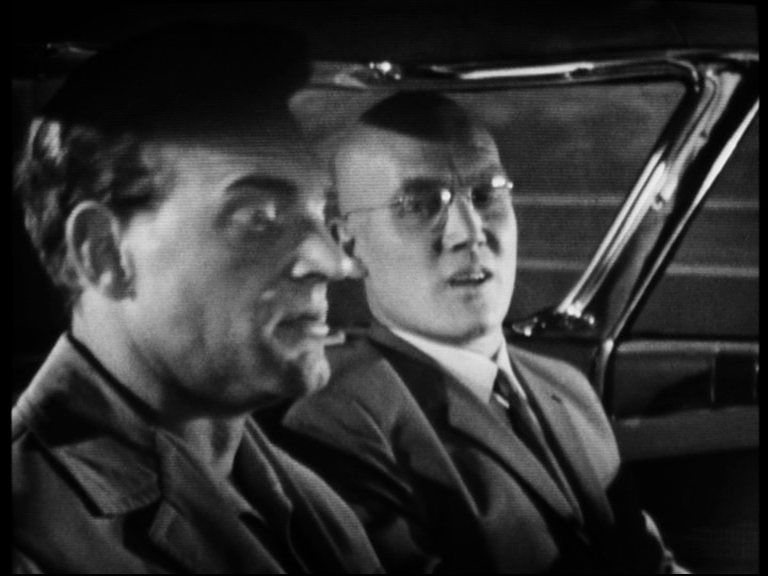 Each episode opens up with an interview with Professor Ernst Reinhart who is a character in the series. He is looking back on the events of the series which we have not seen yet. The series may have happened 10 years previously possibly longer. As the series opens, Reinhart oversees the construction of a new radio telescope designed by John Fleming (Halliday) and Dennis Bridger. Fleming is a bit of a hot head and is very passionate about what he is doing and what he believes in. They pick up a signal from the Andromeda Nebula. Fleming believes it is a computer program. Fleming deciphers further to realize that the message is to build a more powerful and complex computer. Fleming gets the help from a young assistant named Christine. Meanwhile Bridger has sold out to another international organization called Intel. It’s actually kind of funny that Bridger gives information about a powerful computer to a company named Intel. Don’t forget this was 1961! Intel is represented by a man named Kaufman played by John Hollis. 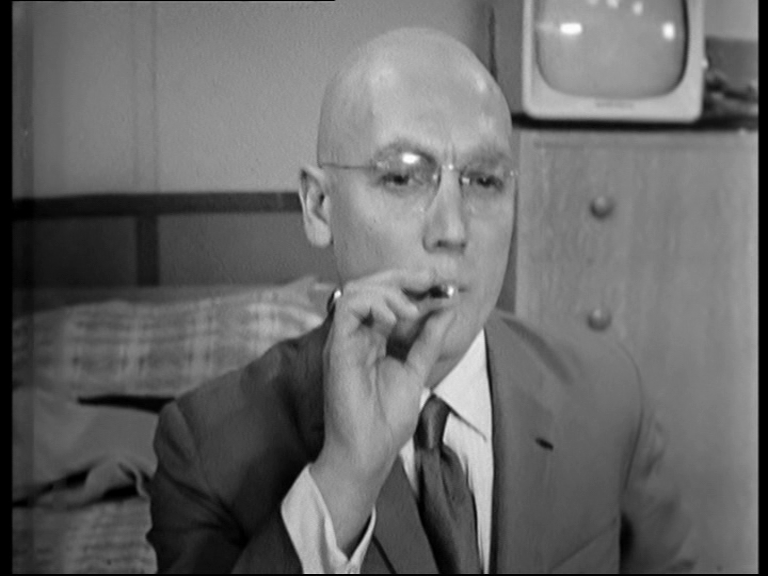 You may remember Hollis in other roles where a bald headed man was required such as Sondergaard in the Doctor Who story The Mutants and also as Blofeld in For Your Eyes Only! Meanwhile as we discuss bald actors the computer has been built and switched on. Cyclops! Which in fact was director Michael Hayes' eye! Andromeda quickly gains the interest of the British government. She creates a program that helps deter the enemies of the UK who are firing missiles over the country as a show of power. Andromeda is even going to create and enzyme which will heal damaged cells. No one is listening to the warnings from Fleming. He is worried about the Computer and Andromeda. He doesn’t trust either of them and knows that whatever their plan is will be dangerous to the human race. Fleming goes as far as trying to trick the computer into thinking Andromeda is dead. Once the Computer knows she isn’t, it punished Andromeda by making her touch the terminals on the Computer and she badly burns her hands. Yet she heals herself with the enzyme. As a way to get back Fleming, Andromeda does something to the enzyme to make everyone ill who is working on it. This includes Dawnay. It is too much for Fleming who finally gets access to go back into the Computer room and destroys it. It no longer has a hold over Andromeda. We learn that Andromeda hated the Computer but had no choice but to do what it wanted. Fleming knows that although the Computer is destroyed, the original code to make it still exists in the room. 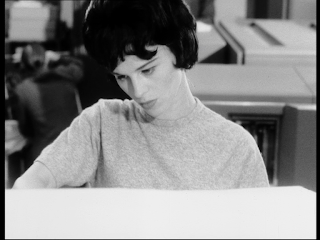 He persuades Andromeda to go back to the room and set fire to all the notes and codes. Troops at Thorness begin a massive hunt for Andromeda. Fleming tries to save her and they flee on boat to an island. It all ends suddenly as they try to escape Andromeda falls into a deep pool and apparently drowns. I would have loved to seen this series in full. It has a lot of great elements to it that I love. Even though it is set in the 1970s, it is clearly made in the 1960s. This is not a bad thing. Although the sets are not overly designed or complex; they look great and serve the purpose. I don’t think it would have looked too different if the series had been in the 1970s except in colour. Also, sad to say, it probably would look better in the 1960s because if it was made in the 1970s, it would have been the same computer props from the 1960s but very beaten up by now! I also like a sci-fi series that has part of the story preoccupied by the involvement of the British government. It even has a flair of espionage as we see the mysterious Kaufmann working in whatever angle he can to get the secrets of what is going on at Thorness. In fact by the time the series is over, Intel is actually doing business with the British government and in a sense Intel wins. There are a lot of scenes in British ministerial offices as well as with the Prime Minister. There is a great exposition in the story of traditional administrative British government vs. the sci-fi element of Andromeda and these messages from the nebula. Nothing looks dated about this production. Even the characters are cool looking. Andromeda with her long blonde hair is attractive and dangerous. Even Kaufmann with his bald head looks cool. Almost Blofeld-esque without being over the top! The cast is really enjoyable. Peter Halliday is a great leading man but he does it on his own terms. He is a troublemaker. He doesn’t make anything easy for anyone. Once Fleming realizes that Andromeda and the Computer is a serious threat to mankind, he does nothing but try to get someone to listen to him. The problem is no one does listen to him. They are too busy making plans on what Andromeda is going to do for them. Fleming is eventually ousted from the group and has to rely on sabotage and trickery to try and get people to see his side of things. The sad fact is that by the end of the series, still only a few people believe his warnings about Andromeda. 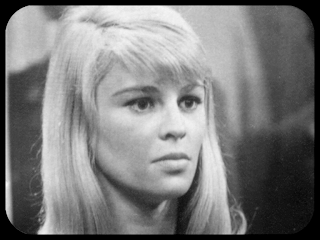 Andromeda herself was played by Julie Christie. This is her first professional role and director Michael Hayes knew instantly that he had found someone very special. She was a student of the Central School of Speech and Drama. By the time the series was done, it was known a sequel was in the works. 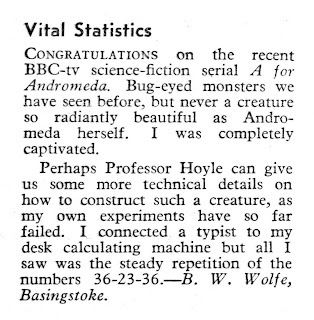 Hayes suggested to the BBC that they need to sign on Christie now to play Andromeda again. Watch The Andromeda Breakthrough and you will see how much the BBC took to his suggestion. I need to point out another favourite actor of mine. Jack May. He played the security chief Major Quadring. He has appeared in Doctor Who The Space Pirates, and had a regular role in Adam Adamant. 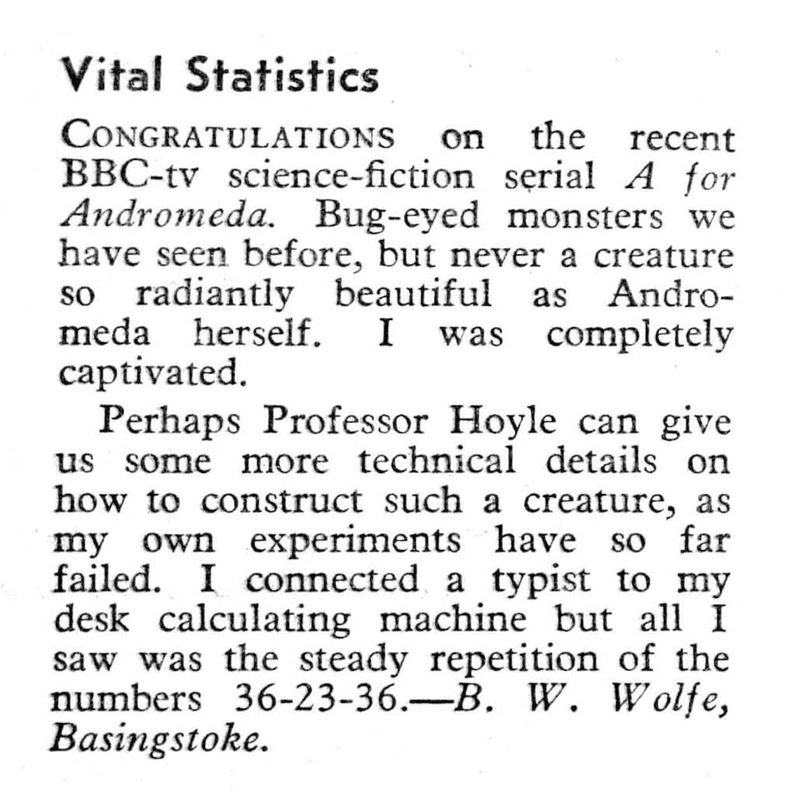 The series was devised by Fred Hoyle and he wanted to work with the BBC to get this produced. A lot of meetings took place which eventually led to the series being dramatized by John Elliott. John Elliot wrote the scripts with the idea of the series being made as 7 x 30 minute episodes. Once Michael Hayes got onboard, he thought the scripts were running long but didn’t want to cut anything. He requested the series be changed to 45 minute episodes. Of course now the scripts under run and filler had to be put in to get it to the right length. With almost all the episode presented here as a reconstruction, we don’t notice the filler in the scripts. How is the reconstruction? I think it is done very well. The telesnaps were arranged (and I assumed produced) by Derek Handley. Derek is one of the front runners to the Loose Canon line of Doctor Who reconstructions. I have a lot of respect for Derek. Mostly because he has a lot of attention to detail on anything he works on. I have worked with him on a couple of projects. He has been kind enough to give me reference materials and other things that I needed to create the best possible product. He loves these shows and gives them his all. When I saw his name at the end of the presentation, I knew why I liked it so much. The reconstructed episodes move along. I never got to the point of wondering when they were going to end. Without audio, making text for every line of dialogue would be tedious. Here, there is enough to give a strong feel to the story yet not enough to be bogged down. The film material looks great. The Face of the Tiger is wonderful looking. Film is clean and sharp. The series was recorded onto 35mm film and also 16mm. It never was recorded to videotape. So there is no tape drop out. The clips that exist from the other episodes come from a variety of sources but some come directly from 35mm film and are exceptional. From The Machine, there is a sequence shot at the computing rooms of IBM which gives the series a feel of authenticity. It’s not sci-fi with people wearing funny hats “from the future”. It’s designed to look like it can happen in our world. Clips exist from The Message, The Machine, The Miracle and the last two reels from The Last Mystery exist plus the full episode The Face of the Tiger. One thing that has come to light since this series was released on DVD was the discovery for the audio of episode seven, The Last Mystery was recorded off-air in 1961. It also includes the BBC continuity announcement prior to the start of the episode. I am a keen collector of all aspects of British television. I do not have this audio episode in my collection. If anyone has a copy of this episode and would like to trade for something, please e-mail me at fta13867@gmail.com I really would like to add this to my collection. If you have not had a chance to see this series, I highly recommend picking it up. Sadly the set no longer appears to be anywhere. It may be out of print. The set had A for Andromeda, The Andromeda Breakthrough, Andromeda Memories Documentary, and Photo Gallery which has the full suite of music. It also has a wonderful set of Viewing Notes written by Andrew Pixley which is where I got some of the information for this article. Next week: When is Tom Baker not a Doctor? It’s when he is Sherlock Holmes. Next week I take a look at the first of a two part article on the story of The Hound of the Baskervilles. I am going to view this from the original BBC 1 recording with the first two episodes next week and the other two the following week! 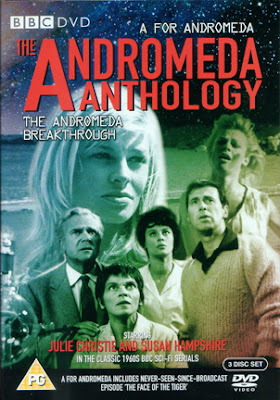 I recently acquired this DVD (alongside The Quatermass Collection) from eBay, so copies are still out there. They can be quite expensive, though. 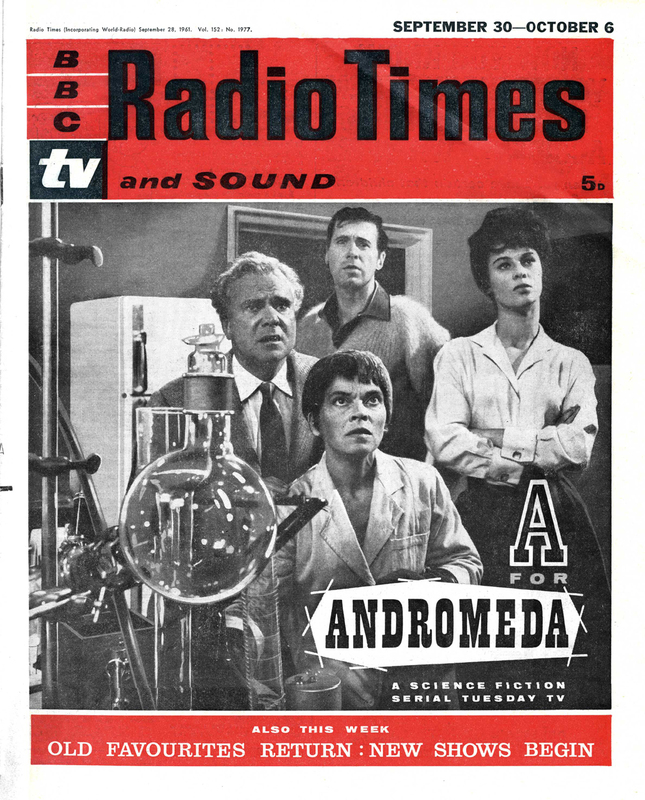 I did not find the Andromeda serials as gripping as Quatermass, but still very enjoyable. I was surprised at how long it took before Andromeda herself appeared! I had assumed that the show was all about her, but she doesn't appear until Episode 5. (Her creation, of course, went on to inspire the Species series of movies.) However, once the Cyclops was introduced, an episode or so earlier in the story, I was hooked...! The reconstruction works well, though it could have been a little better. This is not Derek Handley's fault, by the way. I have read elsewhere (on a forum post by Handley himself) that he was specifically asked by the DVD producers to provide captions for the telesnaps, which would play like a manually operated photo gallery, with each image advanced by the viewer using his/her remote control. Derek suggested that a video file might make for a more pleasurable viewing experience, but the producers insisted that they just wanted stills and captions. Afterwards, somebody (not Derek) edited the images and captions into video files! I'm sure that if Handley had been allowed to supply video files in the first place, he would have combined the stills and clips in a more seamless fashion, blending the title sequence with the episode title telesnap, for example, or prefacing the car park clip with a still frame from the start of that clip rather than a blank screen and caption. Just occasionally I got a bit confused because (I think) an incorrect character name is used once or twice in the captions. There are also scripts for the missing episodes on the DVD, though I haven't read those yet.